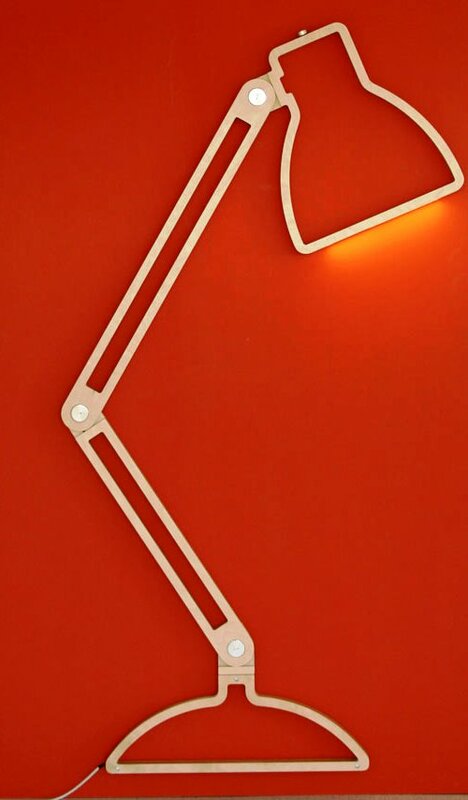 Industrial designer Giles Godwin-Brown (GilesGodwin-Brown) created original flat lamps in the form of a two-dimensional silhouette of a classic table lamp and floor lamp. The undoubted advantage is that such lamps do not occupy space in the room, while providing the necessary level of illumination. Flat lamps of the Nepa series repeat the contours of the high table lamp, which in this model stands on the floor. The height of the lamp is 182 cm. 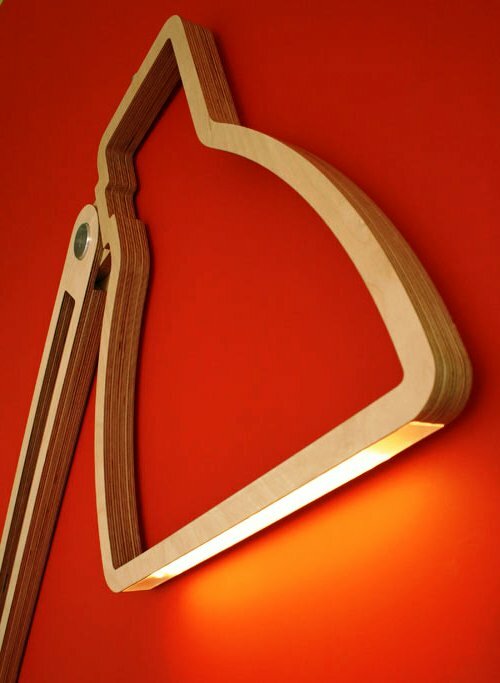 The lamp is made of light birch wood and aluminum parts. In the wooden silhouette of the ceiling there is a thin, but powerful LED light bulb. The entire flat luminaire is mounted on the wall and snug against it, saving space in the room. 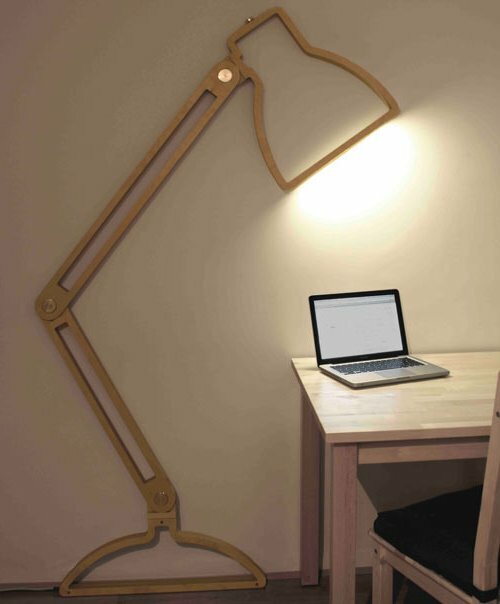 But for ease of use, the lamp is equipped with three hinges at key points, which allows you to rotate the lamp and direct the light in the desired direction. 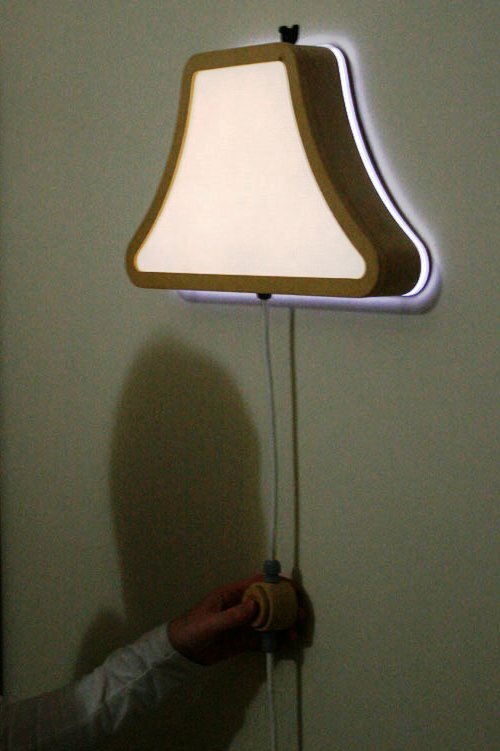 Thus, a flat lamp is converted into a three-dimensional one. 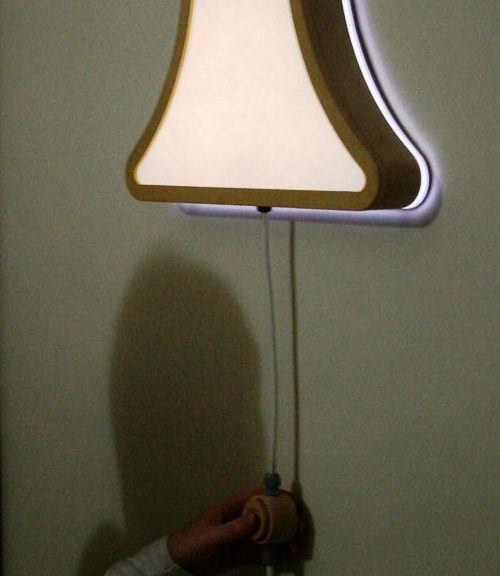 Candor flat lamp is also mounted on a wallAnd repeats the contours of the traditional lampshade. The silhouette is made of wood. But the sidewall is covered with a cotton cloth. Inside is a bright LED light, the intensity of light is adjustable. 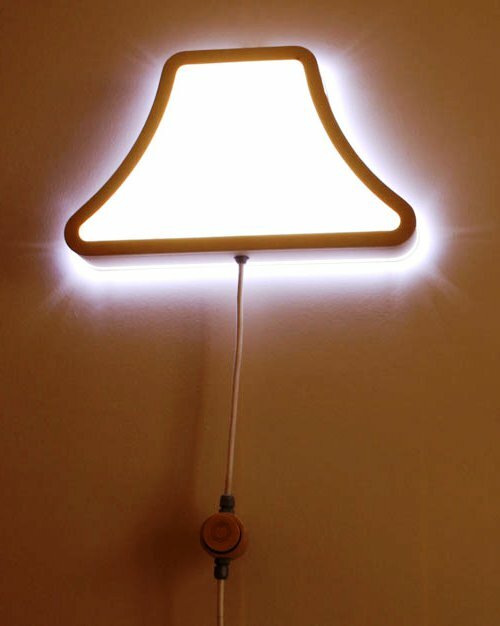 On the contour there is an LED ribbon, which creates a glow on the wall, similar to the effect of a halo in the sky. Crafts from plastic bottles. You can do everything yourself!